Welcome to The Sloane Letters Project! 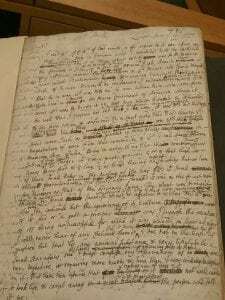 This is a project to catalogue in depth, and eventually transcribe, the contents of Sir Hans Sloane’s correspondence. A pilot of this project, Sir Hans Sloane’s Correspondence Online, was first launched at the University of Saskatchewan in 2010 to coincide with the 350th anniversary of Sir Hans Sloane’s birth. The project was renamed Sloane Letters Online when it moved to this site in 2016. The correspondence of Sir Hans Sloane (1660-1753) consists of thirty-eight volumes held at the British Library, London: MSS 4036-4069, 4075-4078. The letters are a rich source of information about topics such as scientific discourse, collections of antiquities, curiosities and books, patients’ illnesses, medical treatments and family history. Most of the letters were addressed to Sloane, but a few volumes were addressed to others (MSS 4063-4067) or written by Sloane (MSS 4068-4069). So far, we have entered the data for all of Sloane MSS 4036-4053 and 4075, as well as several letters from each of the following: Sloane MSS 4054-4055, 4066, 4068-4069 (especially the French letters) and 4076. The database update and conversion as well as the construction of the site in 2016 was performed by Volant systems, working in partnership with the University of Essex. The project is maintained by Dr Lisa Smith at the University of Essex, Digital History Centre.